Adhesives for electronic applications serve important functional and structural purposes in electronic components and packaging, and have developed significantly over the last few decades. Advanced adhesives in electronics reviews recent developments in adhesive joining technology, processing and properties. The book opens with an introduction to adhesive joining technology for electronics. Part one goes on to cover different types of adhesive used in electronic systems, including thermally conductive adhesives, isotropic and anisotropic conductive adhesives and underfill adhesives for flip-chip applications. Part two focuses on the properties and processing of electronic adhesives, with chapters covering the structural integrity of metal-polymer adhesive interfaces, modelling techniques used to assess adhesive properties and adhesive technology for photonics. 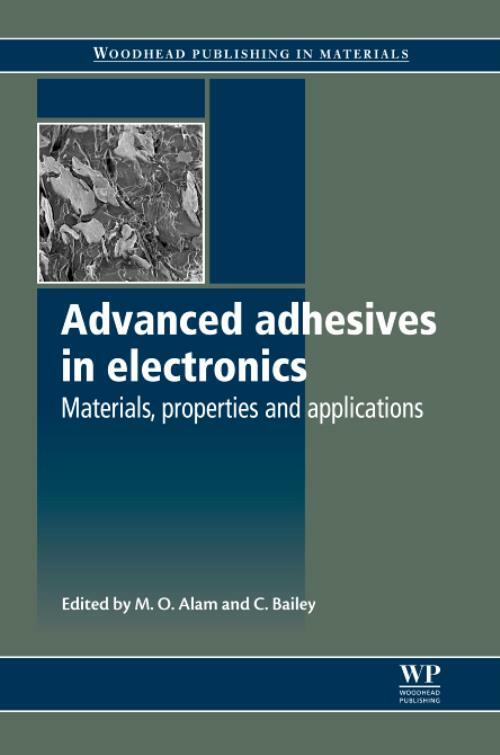 With its distinguished editors and international team of contributors, Advanced adhesives in electronics is a standard reference for materials scientists, engineers and chemists using adhesives in electronics, as well as those with an academic research interest in the field. Alam, M OM. O. Alam is a Researcher in the School of Computing and Mathematical Sciences at the University of Greenwich, UK. Bailey, CChristopher Bailey is a Professor in the School of Computing and Mathematical Sciences at the University of Greenwich, UK.